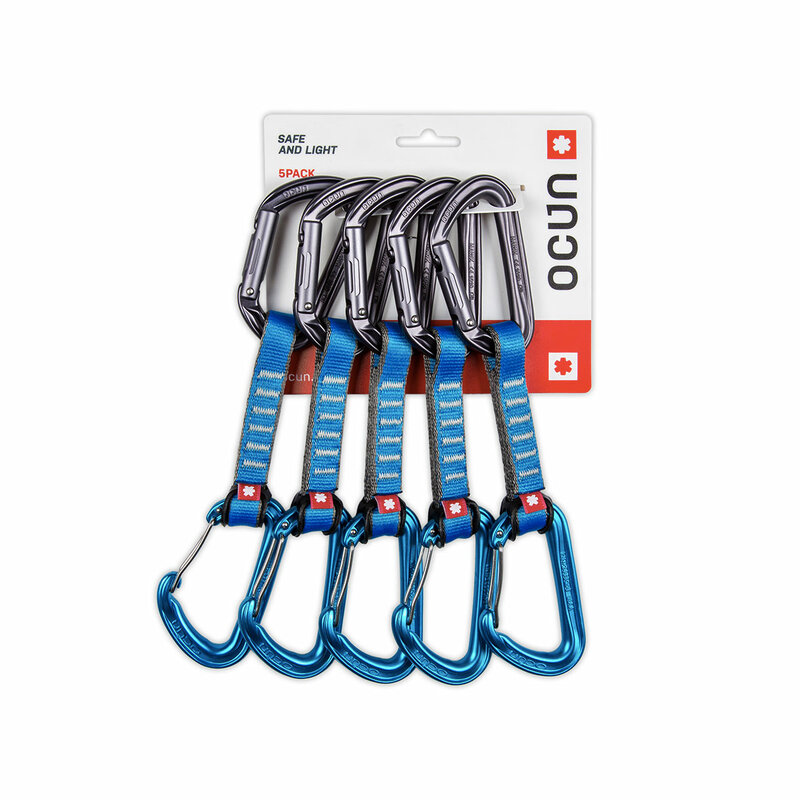 The Ocun Hawk QD Combi PAD is a quickdraw especially recommended for multi-pitch climbing. It features a wire gate carabiner at the rope end for easy rope clipping and elimination of gate flutter or freezing up, and a solid straight gate carabiner at the opposite end for easy protection clipping. At 10cm long and 16mm wide, it’s lightweight and easy to handle, and comes in a handy pack of five.